The Terry Fox Run is just around the corner! On Sunday September 20th, 2015, I encourage everyone to walk, run, jog, or crawl in support of cancer research in true Canadian tradition. There is no entry fee and no minimum donation, so please give what you can to this great cause. 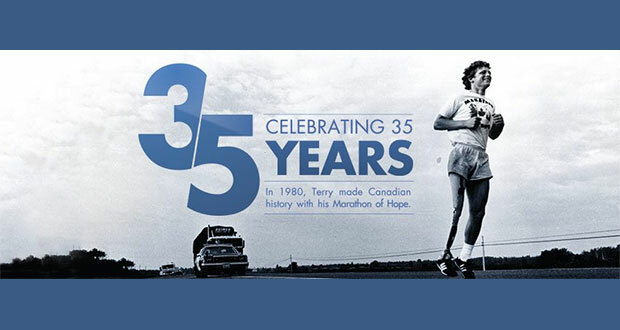 Terry Fox has been inspiring Canadians for 35 years.